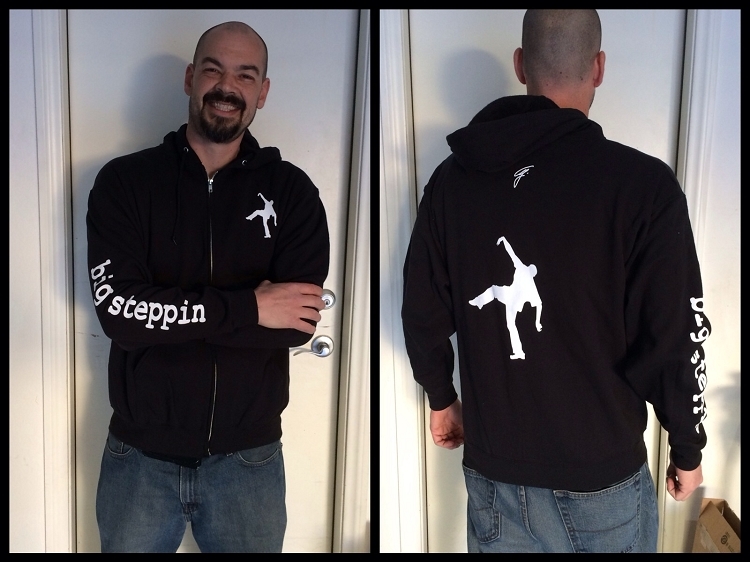 Stay warm with big steppin zip-up hoodie! Big steppin text down the right sleeve. Full zipper and draw string hood up top. 50% cotton 50% polyester pre-shrunk fabric. Made by, Jerzee or Gildan for the 3x-5x.